Home Research & Publications Working Papers / Reports Security Sector Reform in Kazakhstan, Kyrgyzstan and Tajikistan: what role for Europe? 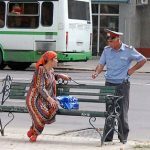 The security sectors of Kazakhstan, Kyrgyzstan and Tajikistan are to different extents corrupt, lack democratic control and can even be a threat to the population. They differ in terms of both size and quality, as well as with respect to their willingness to reform. Security Sector Reform (SSR) based on democratic principles is urgently needed but not always welcome. The Western concept of SSR is not very well-known in Central Asia. States are mainly interested in military training and equipment, and less so in long-term measures to democratise and strengthen their security agencies and institutions. European actors hesitantly support Security Sector Reform in Central Asia. Is Europe on track? Should it do more, or less? Next articleThe security and development challenge for Central Asia: What role for Europe? Erica Marat, PhD, is an assistant professor and director of Homeland Defense Fellowship Program at the College of International Security Affairs of the National Defense University in Washington DC. 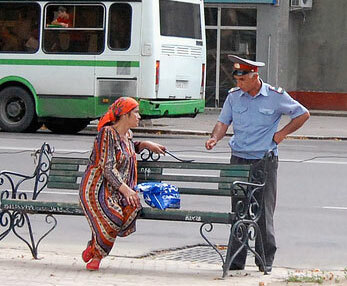 She specializes in law enforcement and policing in former Soviet states. Before joining CISA, Marat was a visiting scholar at the Kennan Institute of the Woodrow Wilson Center in Washington DC. 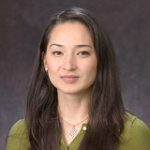 She previously worked at the Voice of America’s Russian Service and was a research fellow at the Central Asia-Caucasus Institute and Silk Road Studies Program affiliated with the Paul H. Nitze School of Advanced International Studies of Johns Hopkins University.